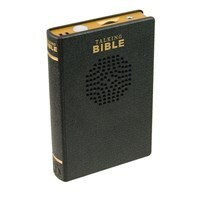 Maxi-Aids offers talking Bibles for individuals suffering from low-vision who wish to enjoy the act of worship. Our portable Bibles come in different colors and are incredibly easy to use, as are our traditional talking Bibles. Browse our selection today. 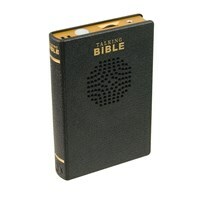 The USB talking Bible is a neat product, completely portable and able to be used with any USB-enabled laptop or PC.